On the Praça das Flores, the evening descends and the lights come on all around the not-quite-square plaza. 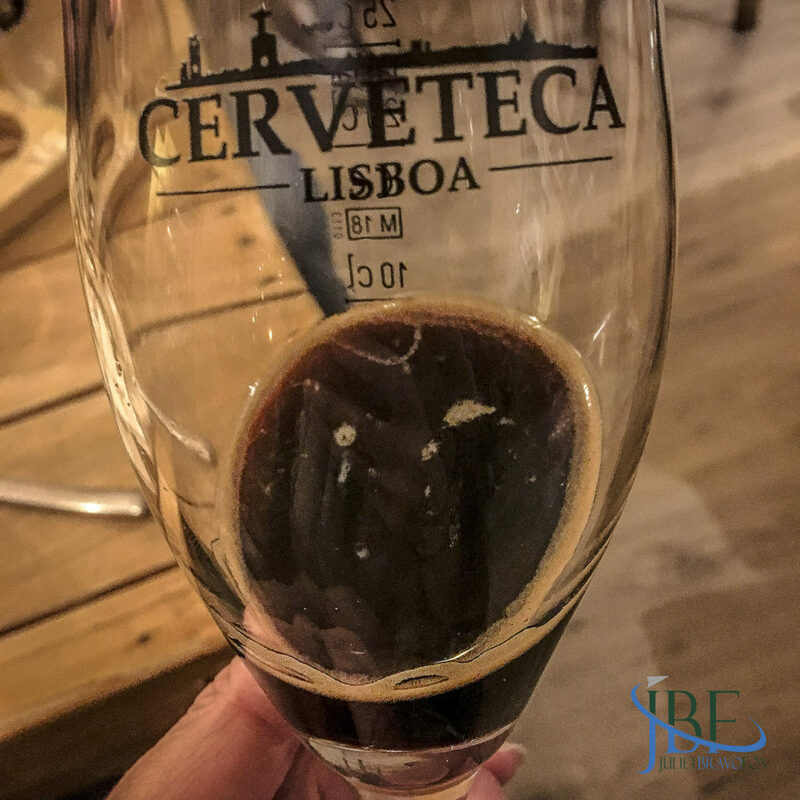 In the midst of Principe Real, in Lisbon, patrons turn to their favorite hangouts for a bite and a beer…it’s a fine Saturday in January so people are out and about, enjoying the last drops of sun. 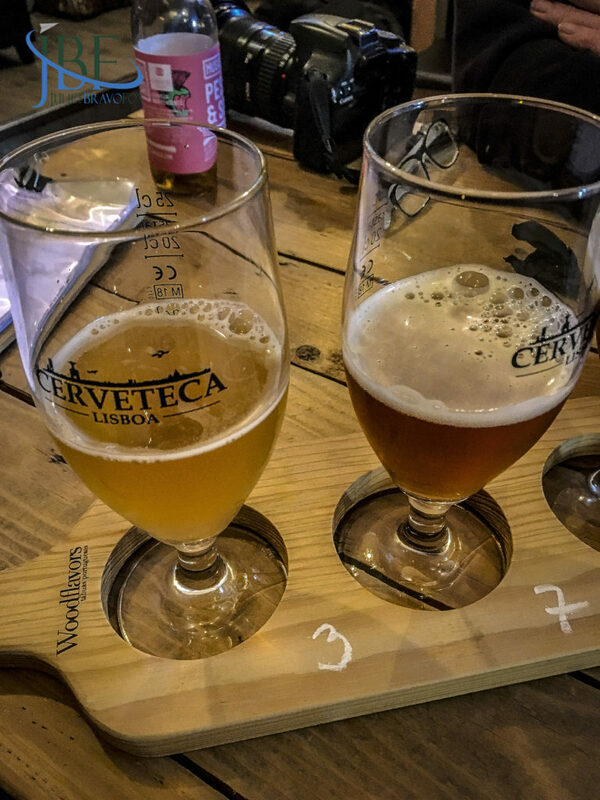 At the Cerveteca Lisboa, the tables fill with regulars, people from near and far. A hallowed bottle of Pliny the Elder looks down on the scene. Two fridges’ worth of bottles, and shelves holding more selections, make an inviting space to try something new. 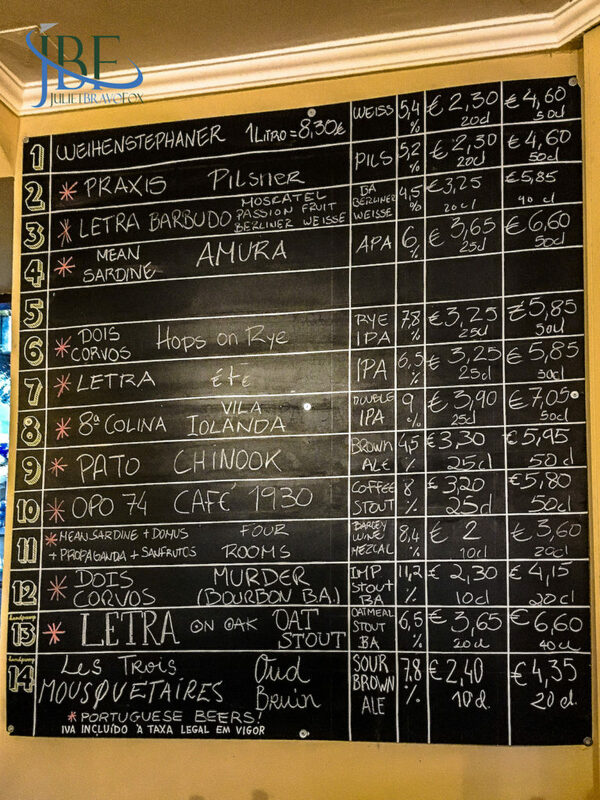 That and a board full of flavors—including a lineup of Portuguese craft and collab beers, but also a couple of spaces for a Magic Rock or a Belgian treat, depending on the week. We choose a tabua of cheeses and slices of paté de pato (duck) to go with my paddle and my mate’s cider. The cheese shows a broad range, from a fresh, salty tang to a deep, spreadable funk—and the paté marries well with the barleywine in particular. It’s aged in moscatel barrels, so that makes sense. You can be a hipster here, or just a regular João, playing checkers on the couch or leaning over a stool. 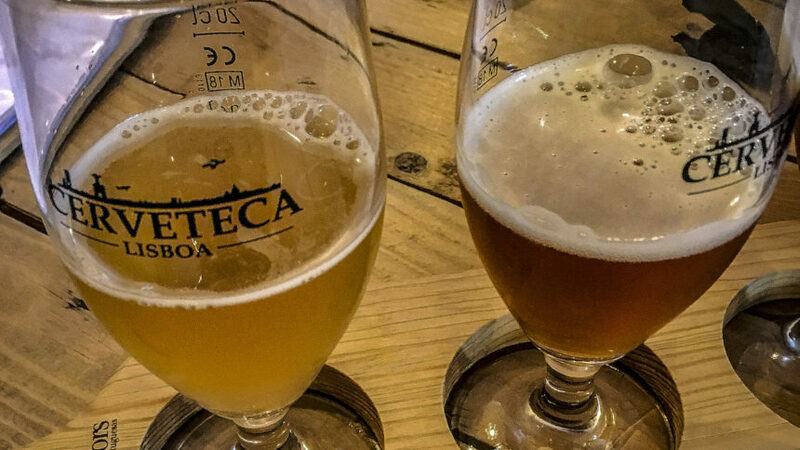 It’s a cosy neighborhood place to put on any beer lover’s radar in Lisbon.